Chances are you know someone who has had a personal experience with either a child choking or nearly choking on an object. Children under the age of 3 are at the highest risk for choking due to their small airway, underdeveloped ability to chew and the propensity to explore items with their mouth. Though you will not be able to fully prevent an unintentional choking episode, there are things that you can do as a parent to reduce the risk that this will happen in your home. First, examine the size and types of food that your child eats. According to the American Academy of Pediatrics’ (AAP) parent website, “Food accounts for over 50% of choking episodes.” The AAP further advises parents to cut food into pieces no bigger than ½ inch and ensure the child eats sitting down, well supervised. Young children can become distracted if playing, walking or laying down while eating. Small button-type batteries (these batteries continue to burn the esophagus even after it is removed). Read a detailed post on this here. Examine your home from your child’s viewpoint. Get down on your hands and knees to their height, and see what’s in their grasp. Shop for toys that are recommended for your child’s current age group. Keep smaller toys that belong to older siblings secured and out of the reach of younger kids. You can use an empty toilet paper or paper towel tube as “choking hazard” guide. 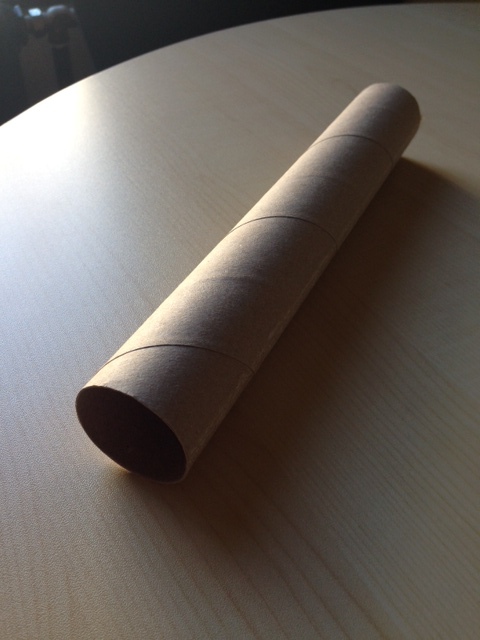 If an object fits in the tube, it’s too small for children under the age of 3. Reinforce with your kids not to put non-food items in their mouth. It may seem as if they are too young to understand, but simple statements such as “we only put food in our mouth or we can get a bad ouchie” will eventually sink in. I firmly believe you should not only “baby proof”, but explain to kids in simple terms why things are unsafe. Learn CPR — which includes choking relief! Beaumont offers several Family & Friends CPR courses for a very low fee! This entry was posted in Safety and tagged classes, cpr, emergency, infants, playtime, toddlers by beaumontparentingprogram. Bookmark the permalink. Beaumont Children's Hospital's award-winning Parenting Program provides support and education to new parents through experienced parent volunteers. Thanks, Erica! Awesome tips! Another great choking / safety prevention tip that I learned from Beaumont’s Safety City: Be sure to keep all dishwasher and detergent pacs up and out of the reach of children. The “detergent pacs” are often packaged with bright colors and can be easily mistaken for candy. Our little ones are especially curious and may attempt to put detergent pacs in their mouth.